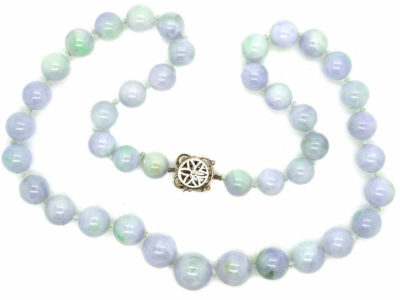 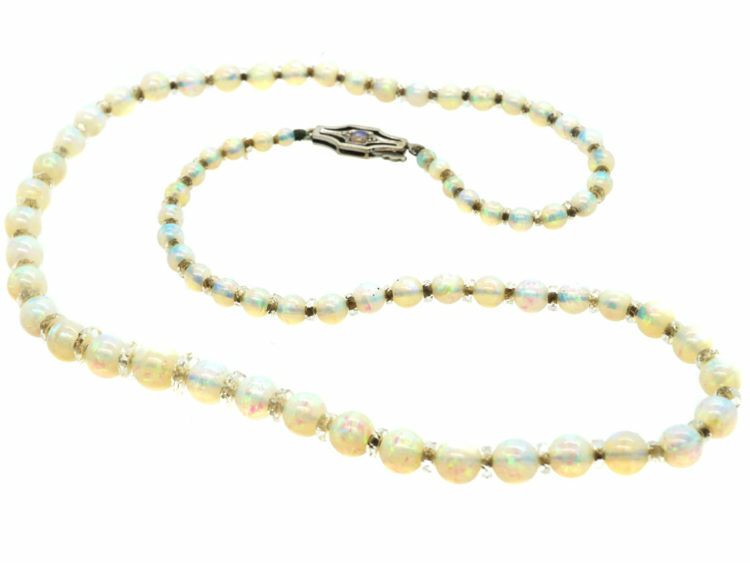 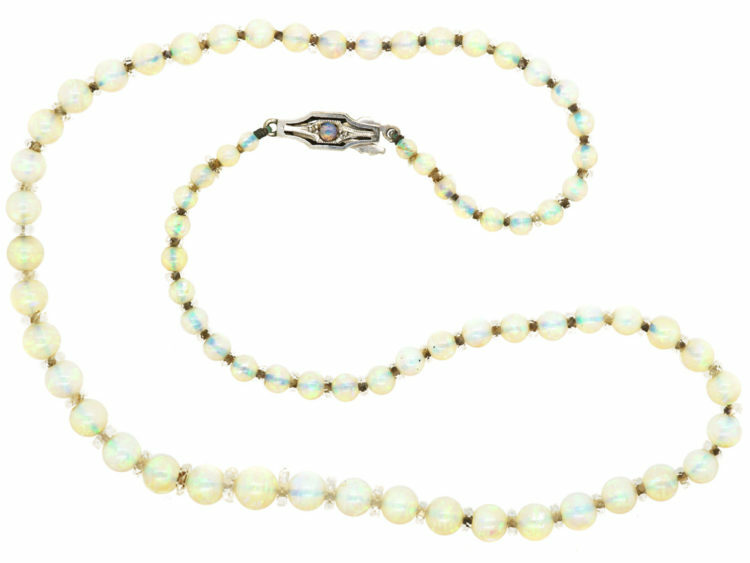 A lovely opal bead necklace that was made circa 1910. 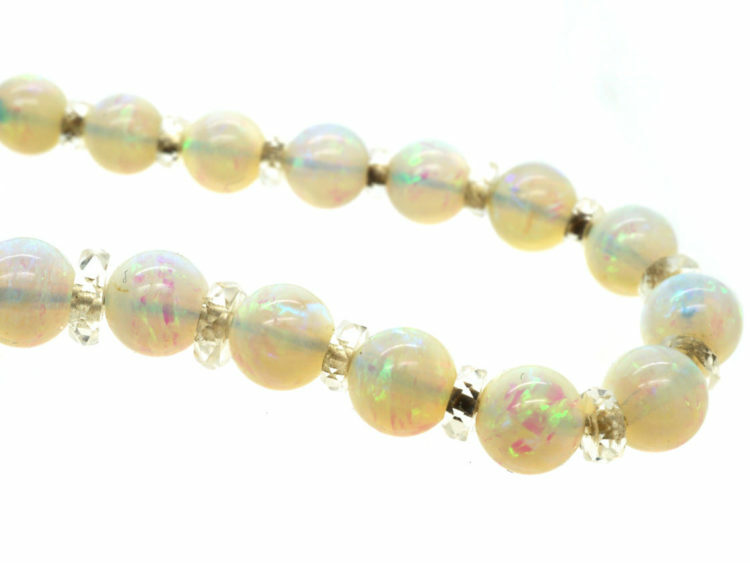 The opals are graduated and of a good even colour. They are predominantly green with blue flashes and have rock crystal spacers in between each bead. 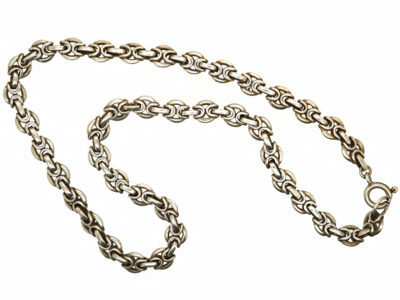 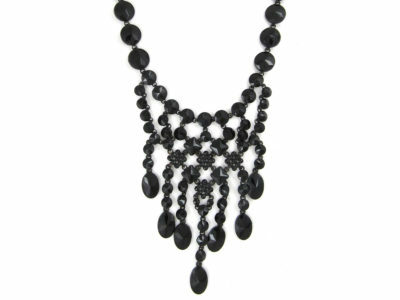 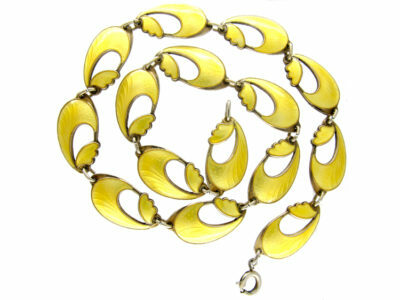 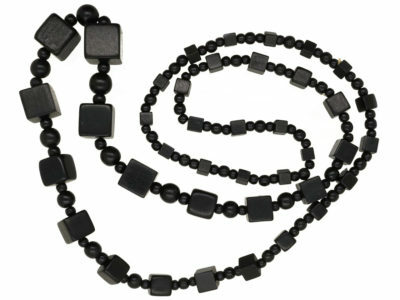 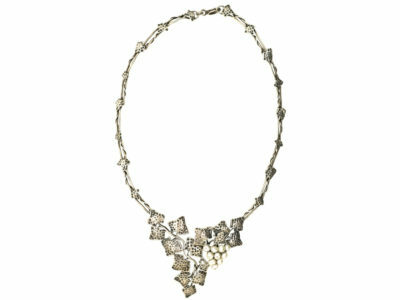 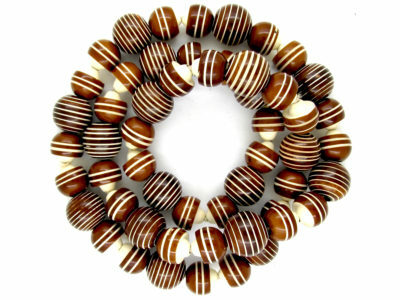 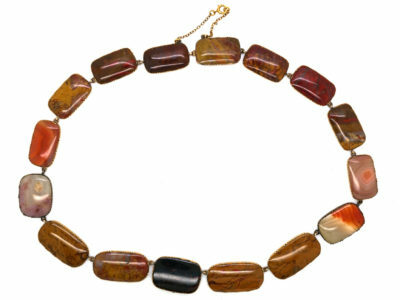 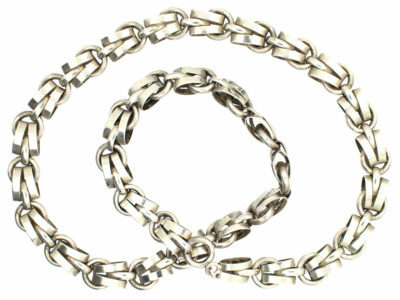 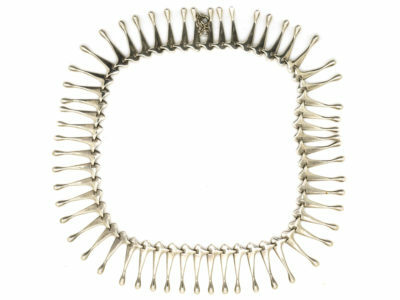 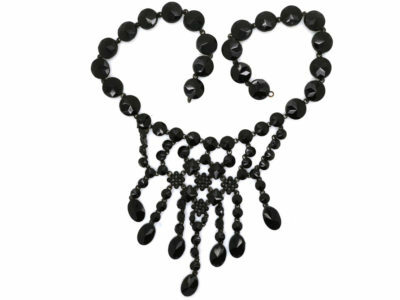 This necklace would look amazing worn on a black dress as the colours would look incredible.